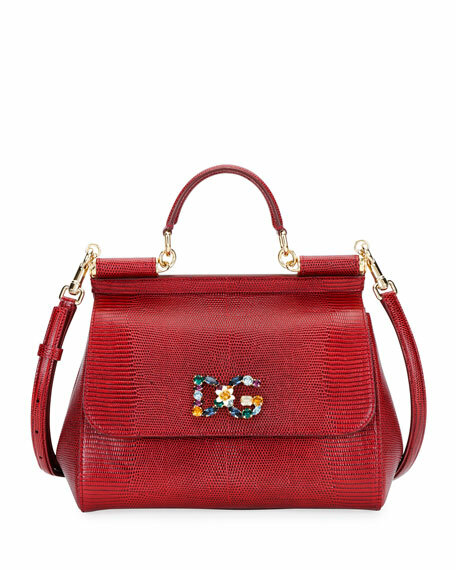 Dolce & Gabbana top handle bag in genuine iguana lizard-skin with jeweled logo and flower at center front. Padded top handle with hinged ends. Wide flap top with snap closure. 8.3"H x 10.3"W x 4.7"D.
For in-store inquiries, use sku #2645496.